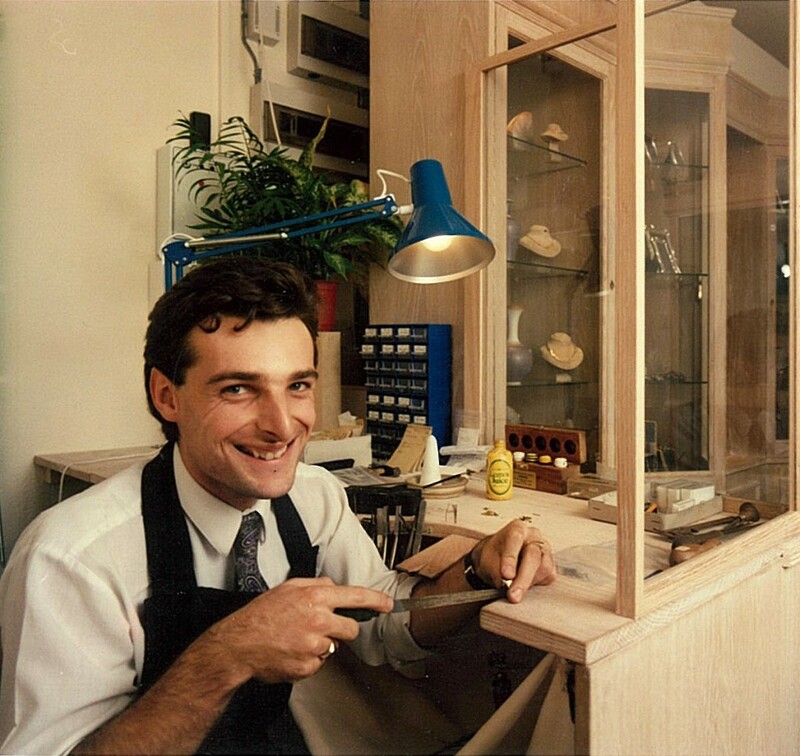 As a young man, he perfected his craft in the workshops of local jewellers before realising his ultimate dream, at the age of 24 in 1987, of opening his own branded store in the historic and beautiful city of Bath. Originally, the shop was at 13 Northumberland Place but the Wylde Effect quickly grew and Nicholas quickly needed to expand. 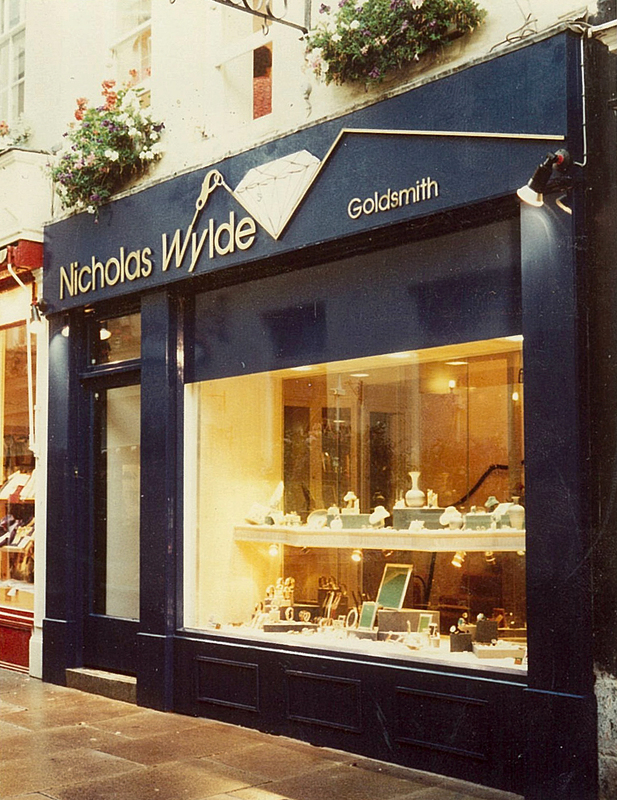 By 1995 he had moved to larger premises next door at number 12 Northumberland Place, where the flag-ship store remains and flourishes today. 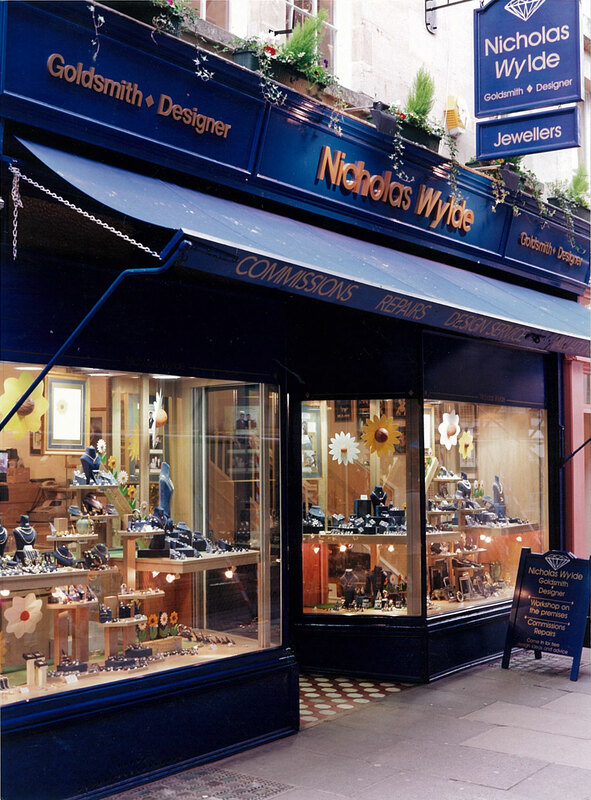 Nicholas infused all his passion and skill into designing and creating original jewellery while his sister Corrinda managed the store. 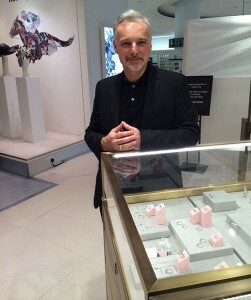 His aim has always been to design and make jewellery which is not easily available on the market and his special collections reflect the abundance of ideas and influences he has. Many of which tell a story of their own. 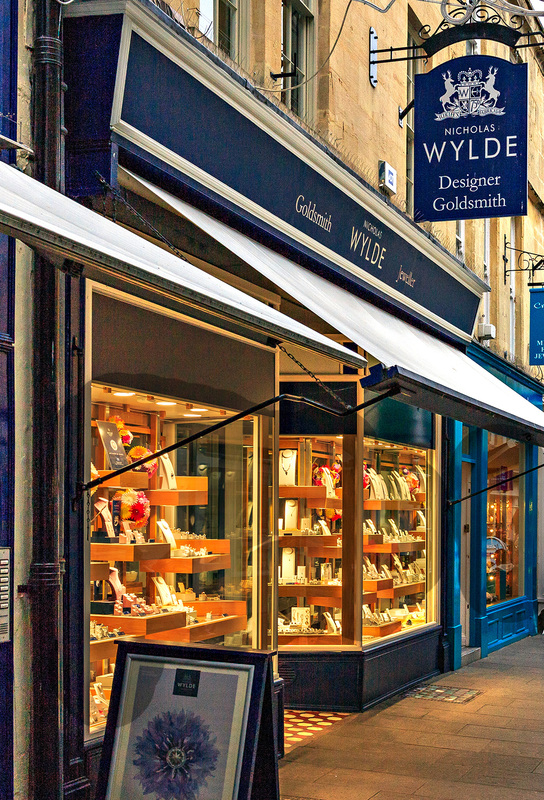 His creative talent and consummate customer care have ensured the Wylde Brand has blossomed over 30 years to become an internationally recognised and respected name in bespoke jewellery. He has created jewellery for famous TV and sports personalities as well as members of the Royal Family. In 2010, a second shop in Clifton, Bristol opened. Described as Bristol’s most exclusive suburb and close to the city’s famous suspension bridge this Georgian quarter is home to many up market and independent shops. 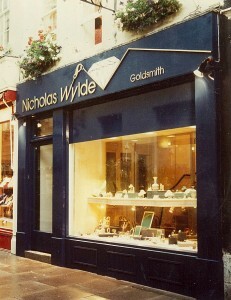 Nicholas was confident that his Bristol shop would be just as successful as his Bath premises because although he prides himself on his unique and customised jewellery they have hallmarks of excellence which are transferrable. 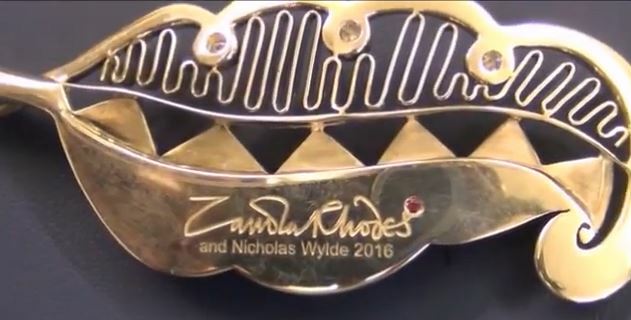 To mark his 25th anniversary in 2012 Nicholas launched his unique, registered and patented Wylde Flower Diamond® placing him among the top diamond designers in the world. 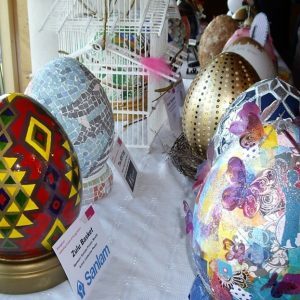 And there is always another creative challenge around the corner for this visionary artisan. 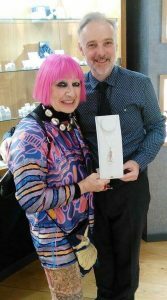 Nicholas has achieved national recognition over the years, recently gaining recognition for his contribution as a reputable retailer – driving the UK jewellery industry forward – and being featured as a leading professional in the jewellery trade. 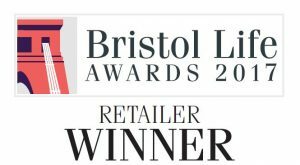 In May 2013, devastation struck when an electrical fault caused an overnight fire that destroyed the interior of the Bath shop. Determined to trade in the only style he knew, which is moving forward and looking after his clients, Nicholas operated out of temporary premises whilst restoration work took place. 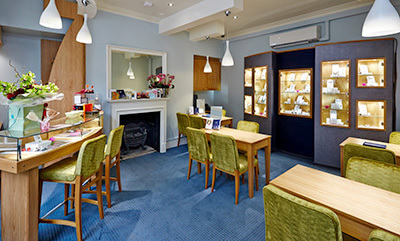 In February 2014, the team moved back into the refurbished shop in Northumberland Place which was completely renovated in a contemporary design. In 2016, Nicholas teamed-up with iconic fashion designer Dame Zandra Rhodes to design together a stunning one-off pendant, crafted in silver, 9ct rose gold, pink sapphires and diamonds, with a value of £2,000. The collectors’ item – engraved with Zandra’s signature – was first shown at Bath in Fashion 2016 and was raffled off and all proceeds from ticket sales went to support three charities: People Against Poverty; RUH Cancer Care and Breast Cancer Now. The internet has significantly changed how businesses operate. These days, e-commerce has become as common place as watching television. 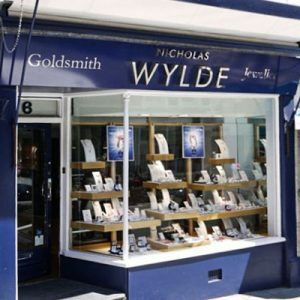 Nicholas is committed to the evolution of his online business and aims to deliver his reputable service to customers whether online or by visiting one of the stores. In 2016, Nicholas’ website received a complete redesign and overhaul and was relaunched towards the end of the year in its present, cutting-edge, user-friendly form across all devices. This drive to maintain high standards and explore new creative areas was further demonstrated in 2017, as Nicholas celebrates his 30th Anniversary with exciting and dynamic new projects and promotional events. The events kicked off in February with a Valentine’s competition with a £3k value prize package that proved to be the popular competition we had run to date. If fact, demand was so high it temporarily crashed our website with over 8,000 entrants! 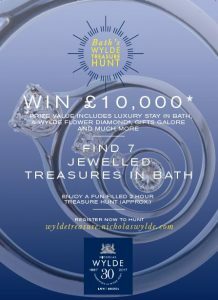 Our summer promotion was even more ambitious – a Treasure Hunt around the city of Bath, teaming up with many independent retailers to provide a stunning prize package of £10k while providing a fun-filled, interactive experience hunting down 7 jewelled treasures hidden around the city centre. Over 2,000 people joined in the hunt and our lucky winner was announced in September. 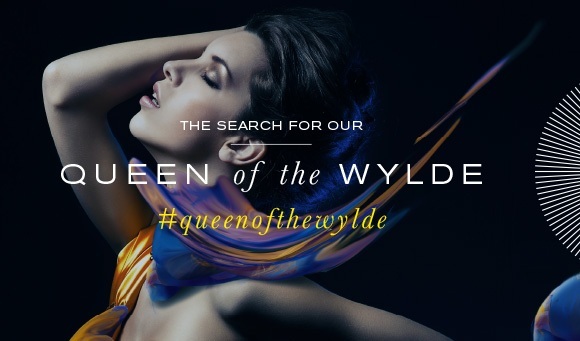 Running concurrently with the Treasure Hunt, we launched our exciting model search ‘Queen of the Wylde’ in May, designed to discover the new ‘face of Nicholas Wylde’ to wear our jewellery for a new brochure. 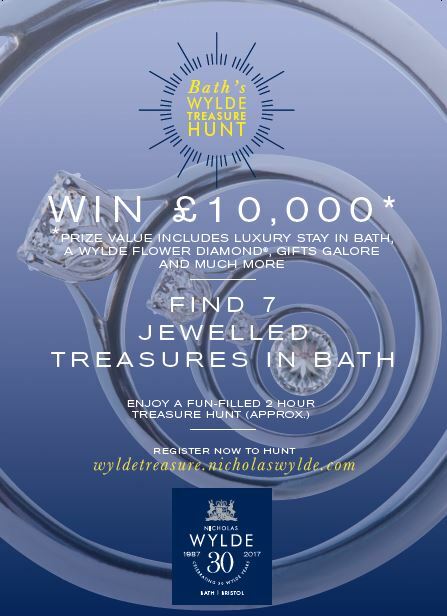 The search was won by Bath-based Isabella Alexander who was first seen modelling our jewellery for our new brochure. 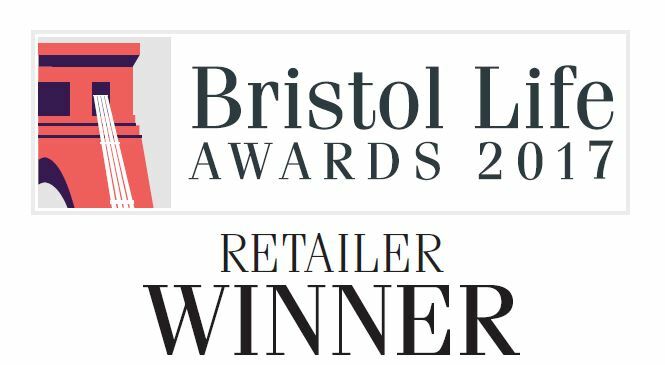 We were proud to receive ‘Best Retailer’ in Bristol awards from the inaugural Bristol Life Awards, recognizing the achievements of our Clifton store and the dedicated staff there. As our ‘Year of Surprises’ continues, there will be many more Wylde surprises in our special anniversary year.